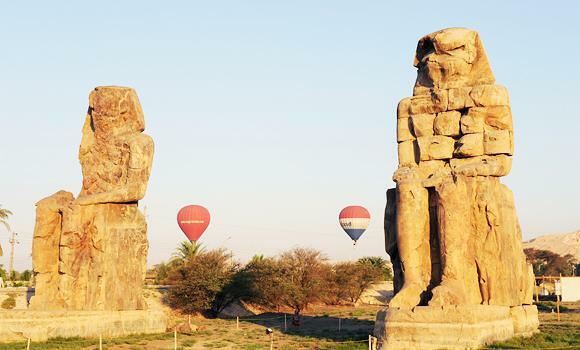 The value of the subsidy has been set at EGP 1,000, within a plan to subsidise tourist flow to Upper Egypt, said Ragab. She explained that flights from London in the last period were almost complete at 80% of normal rates, and the ministry hopes to soon increase the rate to 100%. Ministry of Finance statistics indicate that in the last ten months in 2014, tourist flow to Egypt amounted to roughly 8.1m tourists, a slight increase compared to the same period in 2013. &quot;We have worked during some tough times in 2014 and succeeded in lifting off travel warnings to tourists visiting the country,&quot; the ministry's economic advisory said. &quot;Expectations point out to an increase in the number of tourists to 10m tourists.&quot; Tourist spending in Q3 of 2014 was at 80.1 per day compared to 73 per day in Q2 of the same year, a significant improvement compared to 2013 when spending was at 63 per day, according to Ragab. She added that there is a projected recovery in spending and for reaching 2010 figures when spending was at 85 per night. In 2013, tourist income to Egypt declined to 5.9bn, a 41% decrease compared to 2012. In the last period, huge efforts were made by all sector workers to shake off travel warnings during 2014, according to Chairman of the Egyptian Federation of Chambers of Tourism, Elhamy El-Zayat. He said that although these warnings are no longer in place, tourism activity will not improve until September, adding that the coming period will witness winter reservations and hoping that it will make a difference. Occupancies in hotels of South Sinai were at barely 55% and at 60% in Hurghada, according to El-Zayat. He attributed this to the huge drop in the Russian rouble, which was the main reason for the decline in travel activity to Egypt during the Christmas season. Economic advisory declared that the ministry is looking into whether to subsidise vacant seats of charter flights from Russia or to subsidise flights in the Egyptian airports. Ragab concluded saying that they are waiting for the response from the Central Bank of Egypt regarding the subsidy. She added that despite the decline in the Russian rouble, the previous months saw a significant growth in the tourist flow from Russia.